THE BOOK OF REVELATION OF ST. JOHN. Interlocutor: Is that you, Master Johnakan? Johnakan Ur-El: Yes, I’m here after a long while. Johnakan Ur-El: Maybe there is not much to say. When John wrote the Apocalypse in the island of Patmos, he already had a very advanced biological age and his mental decoder distorted things a lot. Besides, he put things of himself that were not dictated to him. Interlocutor: Are we speaking of preconceived ideas? Johnakan Ur-El: Correct. First of all I want to explain that John’s decoder didn't work well. Secondly, John’s beliefs were increasing enormously until delusion. After Jesus disincarnated, John became in a tremendous devotee of the Master. I am speaking of the 10% that was incarnated. And he began growing in knowledge but going back in wisdom. Unfortunately, John didn't have a lot of texts to teach himself, the only text he had was the one that today is known as the Old Testament which in that time was the only testament available. John had studied a lot about the life of David, Abraham and Moses. He had doubts, but in that time he also believed that Yahweh was the Absolute, and he had conflicts with himself because he didn't end up understanding how an “alleged god” could be capable of so much cruelty, eventually, he accepted it because he had many sorrows, many vicissitudes and he realized that people were very cruel and he reached the conclusion that if Yahweh was so punishing, it was because people deserved it. Johnakan Ur-El: John remained in a Mastery plane because everything he did, was done with Love and worship to the Master Jesus. Interlocutor: John as a Spirit was in the 4 plane, the same spiritual plane Jesus was? Johnakan Ur-El: Yes, he was in the same plane the Master Jesus was. 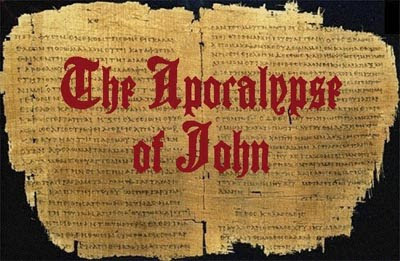 The most important thing to highlight about the Apocalypse of John is that many things were written based on his own ideas, on his poor religious knowledge. Interlocutor: What entity did he contact with? Johnakan Ur-El: The Christic Energy communicated with him. Interlocutor: In what year did John write the Apocalypse? Johnakan Ur-El: He wrote it in several years, three or four, starting from the year 79. In that time, John already had the gift of mediumship very developed, Aside from Jesus; he was the only one who could communicate with the Divine Energies. The Lipikas also communicated with him in order to give him orientation. Johnakan Ur-El: He has also communicated with Elohim and even with Aes. What happens is that they were so powerful Energies those that communicated with John, and his decoder was so deteriorated that he distorted the visions and he misinterpreted the messages. Interlocutor: But what did they really convey to him? Johnakan Ur-El: The message was that everybody would reach the spiritual Kingdom, but he took it as if an earthly Kingdom would come soon. The Christic Energy told him, for example that “with work, with effort, with spiritual Love you can reach my Father's Kingdom, your Father's Kingdom, because the Creator is the Father of all of us, the creator of Elohim, the Father of the divine Energies, the Father of the Spirits of Light, the spirits of error, and all the incarnated beings”. This message, which was very simple, provoked in John multiple visions that he included in his story. Interlocutor: When you speak about “visions” Do you mean distorted visions? Johnakan Ur-El: Sure, distorted visions because he decoded erroneously what he perceived. Notice that John had read Ezekiel and Ezekiel saw a space ship, but he confused the helmets with heads of animals. John interpreted as if there were entities with animal faces and for that reason in a part of the vision he perceived beings with a head of an eagle, with a head of a bull, etc. This doesn't have anything to do with extraterrestrials, but with the distorted visions he had. It is not merely a coincidence, but rather John takes this knowledge from Ezekiel to transcribe it to the text of the Apocalypse. And he also speaks about rainbows, about trumpets, various seals, Angels before the Throne of God. You already know, for the knowledge we have offered you throughout every year during the sessions that the spiritual world doesn't have forms, like the mystics have described. There are no anthropomorphic forms, there are no thrones, or anything like that, because the supraphysical world is completely different to the physical plane. Johnakan Ur-El: Then, all of those visions John had, are abstract perceptions, lucubrated by his mind that have anything to do with the reality of the spiritual world. Interlocutor: I believe it would be interesting if you tell us how John should perceive the messages of high level entities that communicated with him. I mean, how they would be perceived by your 10% at the present time, with all your capacity of mediumship. Johnakan Ur-El: If you have a summary at hand you can ask me. When I saw Him, I fell at His feet as dead. But He laid His right hand on me, saying to me, "Do not be afraid; I am the First and the Last. "I [am] He who lives, and was dead, and behold, I am alive forevermore. Amen. And I have the keys of Hades and of Death. "Write the things which you have seen, and the things which are, and the things which will take place after this. "The mystery of the seven stars which you saw in My right hand, and the seven golden lampstands: The seven stars are the angels of the seven churches, and the seven lampstands which you saw are the seven churches. Johnakan Ur-El: John perceived the figure of the Master Jesus just as he was when he was incarnated. Interlocutor: But was the Master Jesus really there? Obviously I mean to his spirit. Johnakan Ur-El: I will take the liberty of speaking about John in third person because I want to separate Johnakan, that is to say, to myself, as a Thetan from John Zebedee, because my incarnated part or 10% in that moment was not with his analytic mind at the top and therefore he didn't represent me. Interlocutor: I understand. Who was giving the message to John if it wasn’t the Master Jesus? Interlocutor: Why did he write to seven churches then? Johnakan Ur-El: Because they were the churches he knew then. But he wasn’t told at any moment about seven churches. Interlocutor: I understand. What should John preach? Johnakan Ur-El: He was told that he should give messages of Love, explaining that with a righteous behavior, with service to the fellow men, with devotion, one could end up conquering the spiritual Kingdom. Interlocutor: There is something I don't understand. Was The Christic Energy giving such a basic message? Johnakan Ur-El: It was logical, because it was the only message that John could give in that time. Then John added the thrones, trumpets and all of those things, distorting the message. Interlocutor: Now it is clear. In which part of the text was John referring to Jesus? Johnakan Ur-El: In the part he spoke about the Son of Man. John especially called in this way to his Master. Interlocutor: And why did the Master's figure appear in his mind, just as he met him incarnated? I ask it because he could have perceived another thing, like some light or something similar. Johnakan Ur-El: For the simple reason that the Christic Energy overflowed John, making him remember the Master's physical figure. Jesus was imbued in that Energy. Interlocutor: The biblical text says: “His head and hair [were] white like wool, as white as snow, and His eyes like a flame of fire; His feet [were] like fine brass, as if refined in a furnace." Johnakan Ur-El: That was the form in which John perceived Jesus through the Christic Energy. Interlocutor: So, John perceived to the Christic Energy, and in his mind he imagined Jesus in that way? Johnakan Ur-El: Correct. It was not something real, but something that John imagined. His imagination was exacerbated due to the Christic Energy. Interlocutor: It is perfectly clear. And What is the meaning of that allusion to the seven stars Jesus had in his right hand and the sharp two-edged out of his mouth? Johnakan Ur-El: That was only the imagination of John, provoked by his altered decoder. Johnakan Ur-El: No, not at all. Interlocutor: Was it unreal the issue about the seven stars, the seven angels, the seven churches and the seven lampstands? Johnakan Ur-El: That’s right. In his delusion John simply put it into the text to adorn it. Interlocutor: Let’s suppose that John writes the Apocalypse now, being the professor Jorge Olguin, that is to say his reincarnation, how would that writing be? I ask it because now he has his mental decoder at the top and also with an exceptional mediumship. I believe that it would be interesting to make a comparison later on with the biblical text. Johnakan Ur-El: What my 10% embodied as John Zebedee wanted to formulate is a kind of warning to all the living beings who don't believe in the Father since they could receive divine punishment. Interlocutor: Divine punishment? But we know that there is no such thing! Johnakan Ur-El: Remember that his mind was subjected since he had been in his last years a fanatic of the Old Testament and we know that this testament is fallacious. Besides, keep in mind that in the last years of his life, John was already without the guidance of the Master Jesus, he was orphan of wisdom, and wanting to make the things well, he “over exceeded", as you say in an illustrative way in the physical plane. Don't forget that you have infinity of esoteric material at hand in this time, but in that time there was very little, almost nothing in comparison with what you have now. Keep in mind that the Old Testament was something so, but so overwhelming since it mentions enormous divine punishments, rays and thunderbolts and similar things. We, I refer to me as a spirit and you as incarnated beings, we know that Spiritual growth is not achieved through threats, and although we don't condemn those texts, because it is not in us to condemn these texts, but we don’t accept them either, because those divine punishments were self-centered punishments like the ten Plagues of Egypt. Interlocutor: I understand. Did John glimpse the future? Johnakan Ur-El: John had a great intuition and that great intuition was somehow boosted by Lipikas who are guardians of the Akashic Records. Lipikas, being Divine Energies, they can visualize the past through the Akashic Records and they also know due to a kind of mathematical calculation that if such thing happened in the past, in all likelihood, such thing could happen in a different way in the future. Time is an entire process, a wheel that rotates. Do you understand me? Interlocutor: Yes, I understand, but obviously Lipikas don't end up perceiving everything as an eternal present as Eon perceives it. Johnakan Ur-El: Of course not, but somehow Lipikas can glimpse the future based on a probability calculus. Then, if Lipikas perceive with clarity the behavior of mankind in the past, they can also visualize somehow, and with enough accuracy the behavior of mankind in the future. It is something similar if I, Johnakan, can know almost with certainty that there will be many wars in the Middle East, I don’t perceive the future, but through a mathematical calculation of projection. Interlocutor: I see, in which part of the Apocalypse John spoke about that speculative future? Johnakan Ur-El: When he spoke about of the "Great Harlot", obviously he didn’t speak about Babylon, but of Rome, about the current Rome. John makes the comparison of Rome with a beast of seven heads that are with all clarity the seven mountains of this city. What happens is that John perceived things very, but very distorted. Interlocutor: So, There is nothing concrete then. Johnakan Ur-El: No, his visions were very general. Interlocutor: When John spoke that he saw “a new Heaven and a new Earth”, what did he mean? Johnakan Ur-El: He meant new worlds. Johnakan Ur-El: Correct, not this planet but others. Interlocutor: Do you mean that John was visualizing the existence of other planets with their inhabitants? Johnakan Ur-El: Correct, he glimpsed dozens of worlds in many astral trips. What happens is that a being who doesn't have an appropriate teaching and suddenly glimpses other worlds with skies of different colors, the first thing he will think of is that there will be changes in this planet. Interlocutor: Now I understand. John visualized other worlds, but of this present, believing that the revelation was referring to the future of our planet. Am I right? Johnakan Ur-El: Sure! When somebody has visions and he lacks of the necessary knowledge to interpret them, then he distorts what he perceives. It is as if a caveman would see a TV screen. He will surely say that he saw tiny people! Johnakan Ur-El: It is an image totally distorted from John's decoder. Somehow Lipikas poured in his decoder the content of the Akashic Files of the whole mankind so that he glimpses it and in this way he has a tremendous Wisdom. Maybe the mistake of Lipikas, and I say “mistake” with all respect because Lipikas are my elder brethren, was to assume that pouring in John’s decoder all that wisdom, a revelation would appear. Remember that "apocalypse" means revelation and in that way mankind can advance. Those revelations provoked such a big short circuit in John's mental decoder that he ended up hallucinating and writing anything. It is something logical that John had been overwhelmed. Imagine this: Suddenly John has all the information of the past lives of thousands and thousands of people, the sorrows, the ego, the dramatizations of the reactive minds. It is a lot of information all at once! It was as if a flimsy electric installation received suddenly 380 volts. Interlocutor: Obviously the switches would jump! Johnakan Ur-El: Correct. They have burned his decoder! Interlocutor: What did John mean when he spoke about the four living creatures and the Seals? Johnakan Ur-El: When John spoke about the "four living creatures" he was alluding to the Lipikas, and when he spoke about the Seals he was referring to the wisdom of the Akashic Records. “Now a great sign appeared in heaven: a woman clothed with the sun, with the moon under her feet, and on her head a garland of twelve stars. Then being with child, she cried out in labor and in pain to give birth." Johnakan Ur-El: That text is an image of the struggle between Good and Evil. In this case, Spiritual Growth and Ego. Interlocutor: Okay. What can you extract from the Apocalypse that could be positive? Actually, I would like to know if you can give, through this vessel the version of the apocalypse that John should have given two thousand years ago in the island of Patmos. I believe that it would be and we all can make the comparison and reach conclusions on what is valid and that is not in the Apocalypse. Johnakan Ur-El: What John should have transmitted is: The human beings, throughout thousands and thousands of years have inhabited in this world and they could not achieve fraternity because their minds have always being in conflict with the minds of their fellow-men because of their attachments, and they have put hatred, envy, vanity and greed above Love, above fraternity. Therefore, after seeing that in all your previous lives you have made sterile things, I tell you in this Revelation that it’s time for you to change. The struggle between Good and Evils is a perennial conflict in the Heavens. And it is also a perpetual combat the one that exists between pride and dignity on one hand, and vanity and spiritual blindness on the other hand. And who will win? That is for you to decide from what you will extract from this Revelation. It depends on each one of you if you are united with your neighbors and if you put the others ahead of you. Because I truly tell you that it was revealed to me from ancient times that you have always preferred war instead of peace, invasion instead of sowing, bloodshed and fire instead of handshake, money and greed instead of abnegation. If you observe the last five thousand years of history, from the time of Abraham to the time of Jacob, you will realize that you have not progressed anything. And even less you who have not learned from the subjection, from being slaves. Because today, being apparently free, you enslave to the others through loans, through totally spurious sales. All of us have to grow knowing that the Father's Love, which is in the throne of Light, is also inside your heart, and like a flash impacts in your spirit so that in that conscience of all you, that ray of Love that falls from the sky makes a change so that you stop thinking about yourselves, so that you realize that the only worthwhile thing here, the only valid thing is Love and integration. But Love is unfruitful if there is no work to reflect it. Give importance to the work, because otherwise the great struggle among the several spheres will continue, in the various planes. That great struggle where each one will be bewildered, where each one you will wonder why I am here in this darkness? Why don't I receive Light? I have seen, closer what those lights showed me, what those voices told me, the beginning and the end, and I have seen what my earthly Master meant with Alpha and Omega that the beginning and end are the same. I didn’t see growth, I saw that everything was the same, because I glimpsed your minds in this present and I also glimpsed your minds in those past lives, there in that dark pitcher, the archives of memory, and I don't get anything. Actually, you don't have to make a change; in fact you have to feel, because the only way to change is feeling. Feel, the transformation is within you. Don’t blame to the others. That is the revelation so that you realize, so that you feel, otherwise in the day of tomorrow, in five thousand years more, we are going to continue the same or worse, with the difference that you will grow up in earthly knowledge, you will create new weapons, you will contaminate the seas, you will burn the cities, you will demolish mountains, you will melt the ices, you will poison the air, you will decimate the vegetables, you will exterminate races of animals, you will involve. And it is a pity. Because I have seen other worlds, where there are other evolutions, and I know positively that this world is just another world, and that if this world is lost, there are other worlds . But as I am embodied in this world, I’m interested that this world grows, because it has a lot to give. And by the grace of the Father, as well as we have been created here, we also have much more discernment that the inhabitants of other worlds. Why don't we use it in our favor? So that when we all be in a Plane of Light, we also find ourselves sharing with the Father, with the Alpha and Omega, all of us hugged, but in that plane, of Light, not in this plane. That is my message. The true spiritual struggle is within us. I know that many of the churches I have sent epistles they have dismissed them. Maybe it was not their time. Finally I want to tell you on my behalf and on behalf of all the Energies that at this time are in contact with me that everything can change that everything can be better, but it is up to you. Interlocutor: I must admit that I have listened to the true Revelation and it has been poignant for the wisdom of the message. But I want to ask you something, just to leave the topic very clear, Was this message exclusively the one that John had to give two thousand years ago or this message is also for this time? Johnakan Ur-El: The message was only for that time, not for the present time. It is the message John should have delivered in the island of Patmos. Naturally I have summarized it. Interlocutor: Okay, now the Apocalypse was perfectly explained. Johnakan Ur-El: I want to clarify that the misinterpretation made by my incarnated part in that time was made in good faith, not with double intentions. Interlocutor: John's good faith was never in doubt. Was John tortured? Johnakan Ur-El: Yes, very brutally. They burned him with boiling oil, with red hot iron. Besides he had a very advanced age. Interlocutor: Why didn't they kill him? Johnakan Ur-El: Because they finally considered he was harmless and then they set him free. Interlocutor: Did he die a natural death? Johnakan Ur-El: That’s right, but he had a so great will of writing in spite of his condition. Interlocutor: When John spoke about the Beast, Did he mean Evil? Johnakan Ur-El: Yes, he referred to Evil, to the reactive mind, to EGO. There is no Evil represented as an entity. Interlocutor: I understand. Is the real meaning of the Apocalypse the one you said? Johnakan Ur-El: Correct, because the rest, as you say in the physical plane, it is delusional. Interlocutor: Well, then the topic of the Apocalypse is over. This entry was posted at Friday, December 04, 2009 and is filed under Biblical mysteries . You can follow any responses to this entry through the .